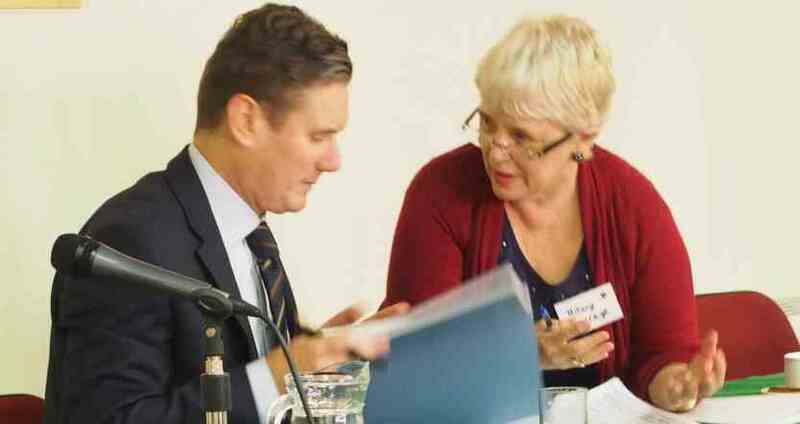 The speakers brought many perspectives to the table: Keir Starmer as a prosecutor, Luciana Berger and Seema Malhotra as Shadow Ministers who will have responsibility for eradicating FGM if Labour wins the next General Election, Richard Watts (Leader, Islington), Josie Teubler (Manchester) and Ellie Robinson (Newham) as Councillors with FGM in their portfolio, Phoebe Abe as a GP with an FGM clinic, Hibo Wardere as a campaigner working in the classroom, and many others. Goodwill was also in evidence from the NW TUC, who generously sponsored the event. There was consensus that the exchange of ideas and information must continue at all levels. As our keynote speaker, Sir Keir Starmer, suggested, it is critical that we all commit not just to talking about the eradication of FGM, but to taking (at least one, small) action towards that aim. What follows are commentaries by some of the Contributors to the event. The men are the head of the household in our African community. As such we need them to start talking to one another if possible in discussion and dialogue. For years and centuries your women have suffered in silence because they respect, love you and want to remain faithful to you. That is the only way then they think they can express their love and faithfulness. But this has come with a lot of suffering and tolerance. My brothers our women have not told you what endurance they had to make. They have not let you know what suffering they go through. This is because of love and that is typical of most women across the globe. Women have different ways of expressing emotions, love and care. Women’s tolerance to pain is undisputed from the day they reach puberty throughout their child bearing years. What about that monthly period pain disguised in latin as ‘dysmenorrhoea’ and what about the labour pain if we can go to even have twenty two children delivered by one woman. I have had children and believe you me that pain exists. But because we love our family and you men we go on and on to please you to give birth. And still disguised in ‘Latin’ the words ‘dyspareunia’ and ‘dysuria’ for bedfellow and urine consecutively are just the symptoms too familiar to these women. Women’s acceptance to suffering and love for their family, from the like of Mary mother of Jesus of Nazareth as she looks up at her son on the cross, to Nosekeni the mother of Nelson Mandela as she visited her son in Prison on Roben Island, South Africa, is undisputed. Women in widowhood have suffered to go single handed to care for their orphans. These are grown up females. In Female Genital Mutilation we are talking of young females. These are little girls and babies. They do not deserve to suffer. Let them be happy in their prime. Let them enjoy the little twelve years in their life. This is the only time a woman can be happy and free. Let us not deprive them of that ample time. They will have ‘hard’ and challenging years ahead. There are hard times ahead when their times come to face the world. Men of the community, work together with us to make sure we give all girls good starting chance in life. Like starting a race, everyone must start at the same line and with equal opportunity. Not ‘cutting’ them of before the empire fires the first starting shot. That is what we are doing to our girls. Men in our community, 140 million girls and women globally are living with the consequences and cannot tolerate side effects of the ‘cutting’. Three million girls all over the world are at risk of being ‘cut’ every year. An updated statistical estimate of the numbers of affected girls and women living in England and Wales and girls at risk of Female Genital Mutilation gives a figure of 137,000 as of July 2014. This is a provisional estimated study by City University London project funded by the London Trust and the Home Office and it could be higher. Let us make sure that no more girls will suffer from that ‘initial pain’ of ‘cutting’. They are our children. They are your children. No one loves girls more than their fathers. The bonds and love between daughters and fathers is like ‘honey and bees’. I therefore call upon women all over the world to support and empower the FGM women survivors, the girls and their brothers. This will make them strong and healthy to support their men, their family and the nations. A healthy and happy woman is a healthy family. The old English adage is ‘Behind every successful man there is a strong woman’. Let’s have a new African saying: ‘Next to every man standing there is a strong woman’. 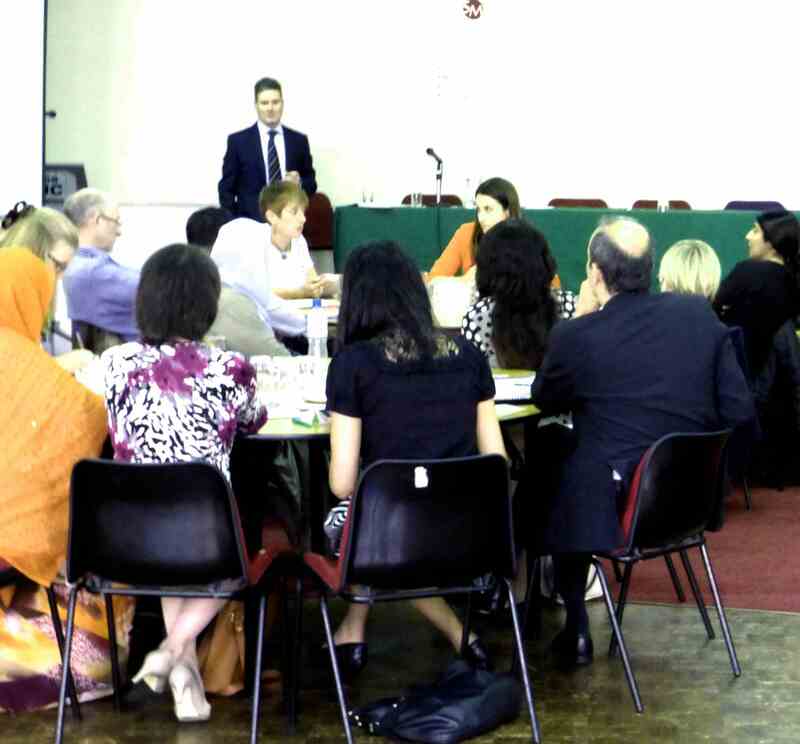 The conference organised and chaired by Hilary Burrage on 22 September 2014 was a success. It brought out a wide range of persons ranging from the Professor and QC intersecting at the General Practitioner to our very brave FGM survivors who were very willing to correct and put us on the way forward to success with Female General Mutilation. Hilary, I cannot praise you enough for the prompt timing and chairing the conference and guiding us through the allocated time. I am sure all discussed issues are on your website which I would advise everyone to read as very informative and challenging. Survivor of refugee-hood, widowhood, single parenthood and an ethnic minority black woman family doctor in a majority of an English and Cosmopolitan community in the London Borough of Hillingdon. As we have heard, legislation is not effective at ending FGM. In 2009 the EU Parliament estimated that 0.5 million living in the EU had experienced FGM. In the UK the estimate is that 170,000 women and girls have been subjected to FGM with 65,000 girls under the age of 13 at risk of FGM. 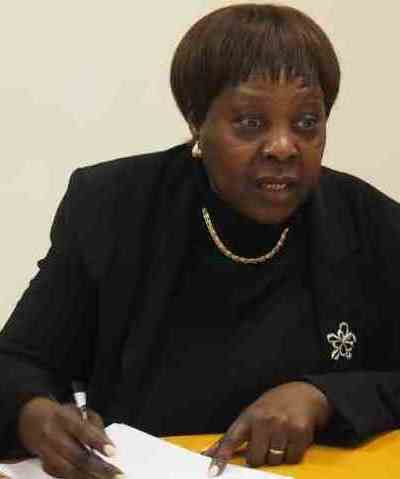 The Home Affairs Committee on FGM (2014) described the situation in the UK as a ‘national scandal’. FGM is a severe form of violence against women and when performed on girls is child abuse. Kier Starmer has stated that he believes the UK is now in phase three of the fight to end FGM, what he calls ‘Effective follow through’. I would like to think that this phase is one where we focus on prevention. The ambition to end FGM [also known as FGM/C] in a generation will only be achieved if we involve FGM affected communities. FGM is a social norm amongst FGM affected communities, only behavioural change from within these communities will result in the tipping point to end FGM becoming the accepted social norm. But communities are all different and ‘one size fits all’ interventions are not going to effect behavioural change. Interventions must be tailored to the readiness to end FGM which will vary from one FGM practising community to another. The REPLACE project is investigating the belief systems and social norms that support the continuation of FGM amongst African practising communities in the EU. The main aim is to understand the barriers to behavioural change and the mechanisms for achieving social norm transformation. We found that the links between social norms, the community and individual agency are highly complex and varied. In all of our research communities we found communities were pivotal in enforcing FGM – with individuals/family choices not to perform FGM constrained and often over-ruled by community norms. But communities whilst enforcing social norms can also be used as a force for change. Our research shows that communities are at different stages of readiness to end FGM. REPLACE is evaluating a new index to assess community readiness to end FGM. This index scores communities on six themes (dimensions) which then convert to a community readiness to change stage. 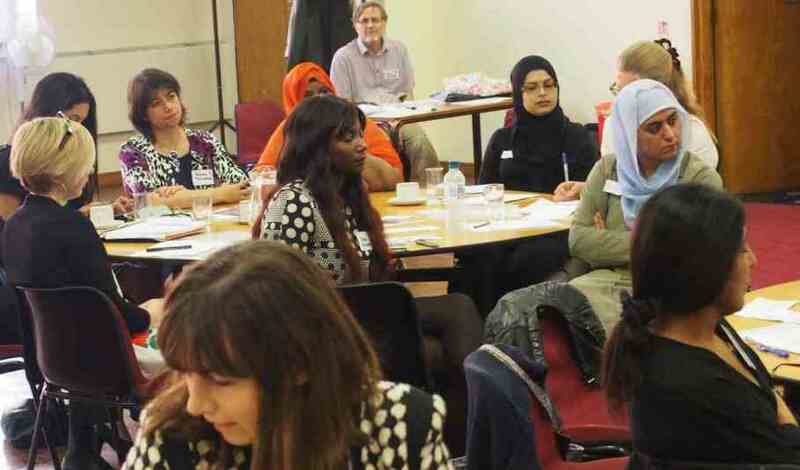 Nine stages have been identified ranging from stage 1: ‘no community awareness of the issues associated with ending FGM’, to stage 9: ‘community ownership, with high level of community desire to end FGM’. The balance of power between community norms and individual agency changes as a community goes through the nine stages of community readiness to change, with individual agency becoming more powerful as a community becomes more ready to replace its social norms. The index is easy and simple to use and requires few resources. Whilst the index does not directly measure FGM prevalence, it could be used as a proxy and indicate progress towards ending FGM. To determine the stage of readiness of a community to end FGM, to ensure interventions are appropriately targeted to achieve maximum effectiveness. To monitor and evaluate how community norms are changing over time as a result of specific campaigns or interventions to end FGM. Could be a proxy for FGM prevalence change. Communities are the key link between social norms and individual agency. They are thus pivotal in ending FGM. We must remember that communities are made up of individuals and families. Communities are at different stages of readiness to change: so a ‘one size fits all’ intervention will be ineffective. This index helps us target interventions and track change. We hope this index, which is proving so useful in the EU, can be rolled out to other FGM affected communities to help in our fight to end FGM in a generation. The event was reported in The Guardian; this post is a space where the debate may continue…. 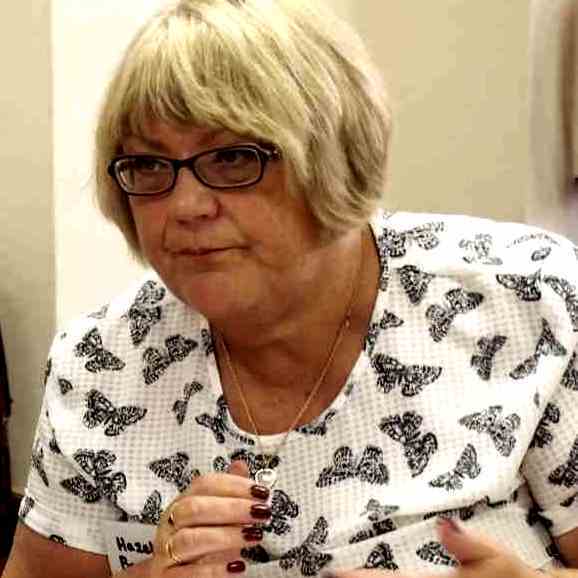 All NoFGM campaigners and survivors (not ‘just’ those who attended this event) are welcome to submit papers to me (Hilary) for publication on our sister website, NoFGM(UK), and I hope too that the exchange of ideas and reports on progress may by-the-by find their way onto these pages, via the Comments boxes below.